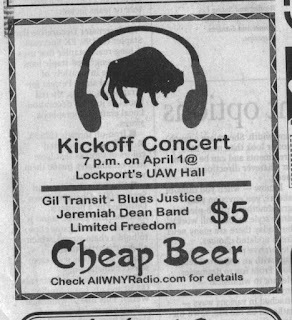 Ten years ago today, All WNY Radio was born with a concert in the UAW hall in Lockport. 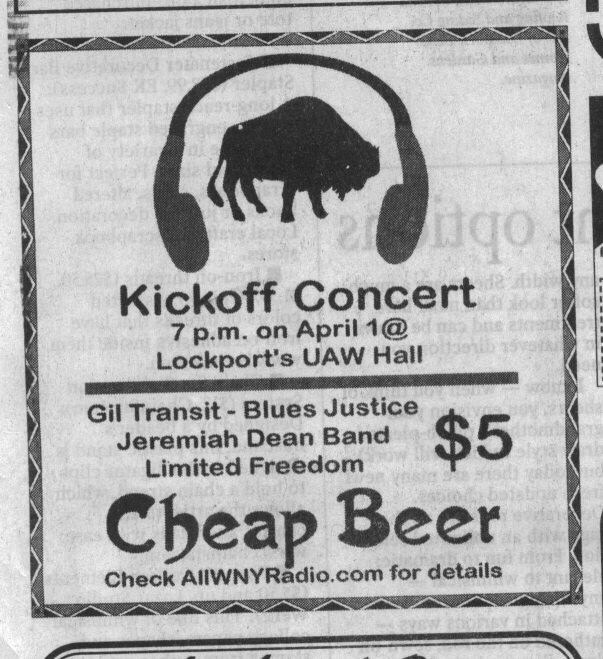 Our kickoff concert had three bands and "cheap beer," as the newspaper advertisement so proudly displayed. Over the years, we've had a lot of bands -- and a lot of cheap beer. But one thing that has not changed is our commitment to the local music scene. Leading up to the 10th anniversary, we've been busy on a pretty major undertaking -- a brand new companion website to AllWNYRadio.com. The all-new AllWNYNews.com aims to do the same thing for local news that AllWNYRadio.com has done for local music -- give it an outlet. The sites are pretty deeply engrained into one another, as is the new AllWNYAwards.com, which will serve as the landing pad for the All WNY Music Awards, as well as another annual awards campaign, which we'll discuss more later. But for now, check out All WNY News ... and let us know what you think. Scott I remember the ONE ALL WNY Radio event I attended. It was at your house! Awesome day and absolutely loved how the music managed to stop traffic on Route 31 at one point! Congrats on this ! Wishing you all the best !